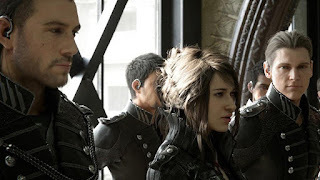 Much in the same vein of Final Fantasy VII Advent Children, SquareEnix has decided to release a feature length movie based on the Final Fantasy XV game that is due out in November. I will be honest with you Square Enix knows how to do CGI. One of this movie’s strengths is in the CGI that is used to create the world. Much like Advent Children there is a lot to like here but just like Advent Children I think this will be one of those films that fans get but general movie going public more than likely won’t and I completely understand why. The film stands strong in the action and visual department but is lacking in the story department. To Square’s defense this movie is set up as a prelude/prequel to the game itself. So you won’t be seeing Noctis and his friends but you will be seeing other characters and their particular journey’s that led to some of the decisions that I can only guess will be cleared up in the game. I did like the voice acting and soundtrack as there were a lot of recognizable tunes from the Final Fantasy World. They got some pretty good voice actors for this film as well. Lena Headey, Sean Bean, and Aaron Paul are the more recognizable actors doing work on this film. Just so you know Sean Bean does die in this, I guess that #SaveSeanBean hashtag movement wasn’t enough this time. As far as the story is concerned it feels disjointed at times and there are certain plot points that don’t get resolved. My only thinking is that they will be resolved in game. I know that some people will hold it against the movie but if you remember this movie was initially supposed to be released alongside the game on 09/30 of this year. With that in mind I think it’s unfortunate that some people are holding that against this movie especially knowing that the game is on its way. The one thing that I did find an issue was that it did get predictable especially during the climatic fight scene. A lot of the characters you can pretty much tell are shady and should not be trusted, it’s that obvious. My last issue I had was with the fight against the main villain at the end. The way that it is shot and due to what is happening at the time it is hard to see what’s going on while they are fighting. It reminded me of the fight in Suicide Squad and how that fight was handled. Not bad, but it became hard to see due to the environment and what was going on at that particular moment. It’s your standard action movie. I will say this though, if they have seen Advent Children Complete then this is no problem. There is some light language and some of the deaths that happen, happen off screen. It’s not gory in the slightest. I mean Advent Children Complete showed Cloud getting stabbed multiple times and nothing that bad happens in this movie. It doesn’t have the best pacing but I was never truly bored watching the movie as the way they show the action and magic was pretty cool. 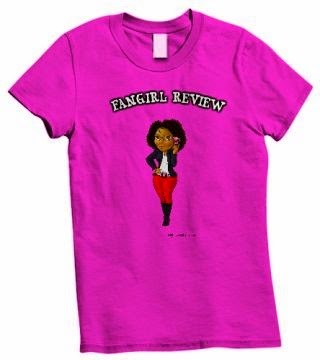 This is a solid RENTAL from me. Its not good its not bad but it is one of those films where I can see people not watching too often. Final Fantasy fans are going to love this but I think the casual fan will probably just watch it to get the story before they start the game. I will say this, however, if you are planning to get the game I would at least watch it before starting the game. I just feel like certain story elements will be touched upon maybe even wrapped up in the game. I watched this movie and I don't see the holes ppl are talking about. 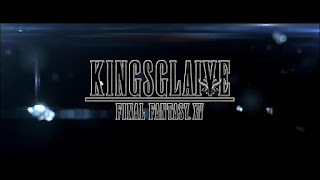 There was one person on a FF community that said that the hole was what happened to Kingsglaive? 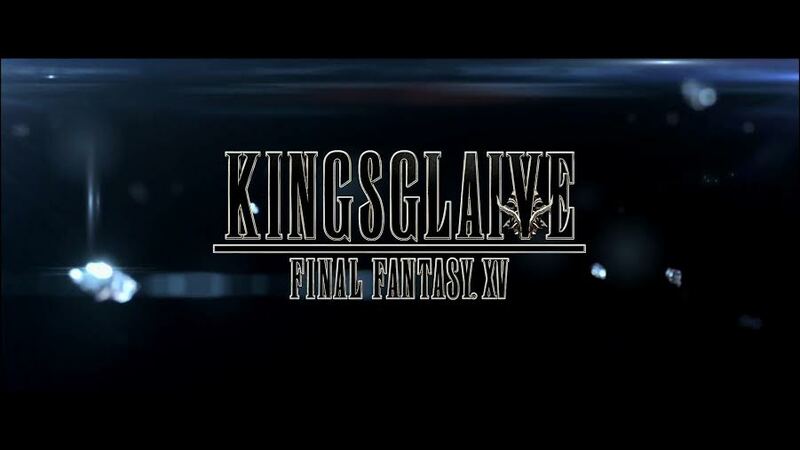 Kingsglaive is dead. It died with the king. They showed that when Nix was in the car with the princess he could not tap into the crystals power because his power came from the king. If you really pay attention to the dialogue in the film they left nothing out. After the credits you see Noctis and his friends, and their car breaks down right where the trailer to FFXV starts off at. J/S. I've watched videos where ppl say that all the kingdoms had crystals. They all didn't have crystals that protected them. Only Noctis' kingdom had the Crystal and they used it to protect all the other realms from the invading magitech country.